There are no details on the purchase price, but Amazon says that it is acquiring eero to "help customers better connect smart home devices." 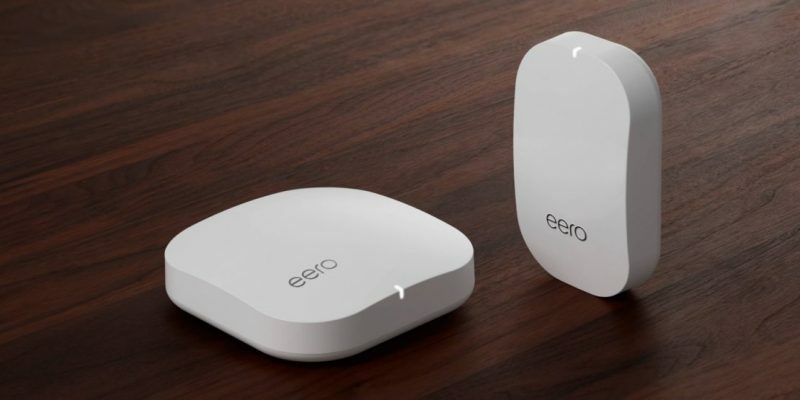 Mesh Wi-Fi systems like eero are ideal for smart home setups with many internet connected devices, and the acquisition fits well with Amazon's growing portfolio of smart home products such as Ring. [doublepost=1549923255][/doublepost]Well; ****. I am not looking forward to Amazon ****ing up an otherwise great product. I guess I'll have to start looking at other options again. My first thoughts too. I refuse to put Alexa in my house ... but Amazon is going to do whatever it can to get your household into their databases. Frustrating. Prediction: 10% of Eero's current customers will leave due to privacy concerns, and then Amazon will add 1000% new users through sheer marketing dominance. Me: Happy to continue using my Airport Extreme. 5G has a shorter range than LTE because it’s lower power. That enables smaller, easier to install transmitters, virtually everywhere you look, if you know where to look. This will result in a higher diversity of transmitter locations and more redundancy, resulting in higher reliability. This is why Apple has divested itself from WiFi. 5G will overtake it. I’m not saying this as a hunch, it’s the actual intended purpose of 5G, by design, to make cellular connectivity ubiquitous from the biggest devices to the most mundane. There’ll be 5G chips in virtually everything that has a CPU. There will be no need for WiFi. Smaller cities and suburban areas are not going to have reliable 5G coverage for years. For the utopian network you’re talking about you’d need a 5G antenna (and connected back end) on every telephone pole or street light post. I just don’t see it happening outside major metropolitan areas for a long time.